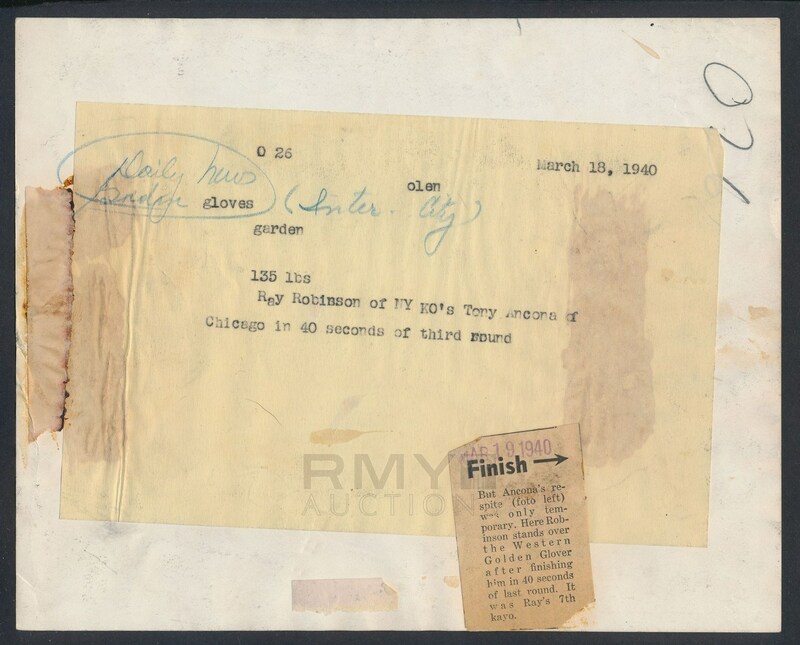 Lot # 16: 1940 Sugar Ray Robinson, "Golden Gloves Fight Photo v. Tony Ancona" Exciting NEW DISCOVERY! Well before he became a professional fighter, Sugar Ray Robinson was a Golden Gloves amateur who competed in various tournaments throughout the East. One of those tournaments was the "1940 New York Daily News Intercity Golden Gloves" in which he was pitted with Tony Ancona. The offered image was taken by famous local photographer Bob Olen who had no idea of the greatness he was witnessing. An exciting image that is almost certainly the only one that was struck off the negative and this is the first time it has ever been seen or offered to the public! 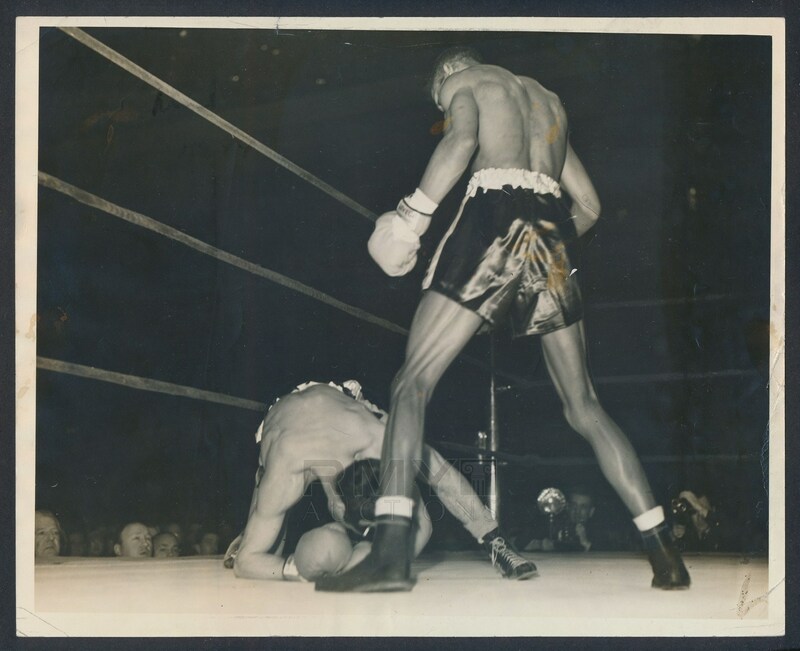 Stamped on the back with the date, this is one of the greatest images of Sugar Ray Robinson that has ever been offered and one of his earliest action photos ever uncovered! Condition and quality are outstanding! This should be the cornerstone of even the most advanced photo collection.